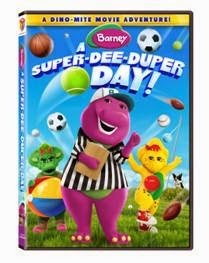 When Barney takes his friends on a dino-sized adventure, everyone has a Super-Dee-Duper Day! Barney encourages everyone to use their imaginations to remember the lessons they learned during their super Sports Day in the park showing them that sometimes the most rewarding activities are the most simple. 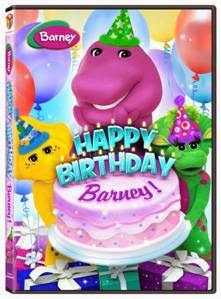 From playing ball and hopscotch to riding bikes, playing basketball and much more, Barney, BJ, Baby Bop and Riff show how the power of friendship makes everything fun! Want to win your own copy of the DVD? Enter before the end of release day 7/15/14 at 11:59pm EDT. You must be a US resident and 18+. Good luck. The Share a hug link doesn't go to any share a hug. If it did I'd share it with my great niece and great nephew. Ooops, they stopped sharing hugs. Must have hit their goal.